It's more than a job! 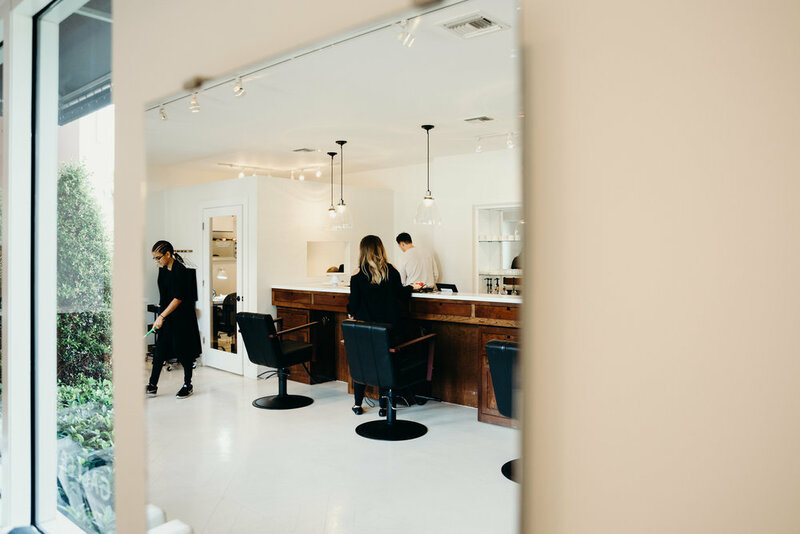 How to Find Your Salon Home. There comes the point in life where you realize you want to be a part of something bigger than yourself. To be a part of a shared mission is more powerful than anything you could accomplish in your career Anyone can excel at a job. But can you thrive? We want you to experience passion. Passion fuels energy, creative thinking, and excitement. To be clear; this doesn't mean you will like every single thing about your job. There are things in all job descriptions that we would prefer not to do. A mission is more significant than to do lists or job descriptions. It's about the core of WHY you work toward goals. I went through a painful branding process, with my brother Jeremy. He forced me to understand what made me who I am. What drives me, and why I always want to push myself. Once I found this truth, it made all my decisions more clear. I now know how to find my tribe and how to reach my goals. I've listed a few questions to ask yourself; we suggest writing down the answers in a journal! Find your mission, find your 'why'. Then, it's time to seek your Salon Home knowing who you are and where you will fit in. Surround yourself with like-minded people! What makes you feel most powerful? When do you feel weakest? When you answer these questions, write them down and keep them in your purse. When you go to a Salon interview (Click here for our Salon Interview Guide! ), ask some questions that will refer to those above. How would you fit into the culture? Would you most likely be thriving in this environment? Remember, you’re interviewing them just as much as they are you. Be prepared, know yourself! We’ve had a lot of questions about how to NAIL a Salon interview… so we’ve worked up a FREE GUIDE ‘Top 7 Mistakes you’re Making in a Salon Interview’. Click here to download your copy! Salon Owners: Are you frustrated by the hiring process?